Small to mid-sized business world-wide. 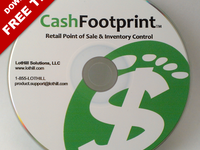 CashFootprint Point-of-Sale Reviews Recently Reviewed! Pros: Easy to use. Works for my shop like it was designed for me. Easy to set up and figure out and back ups are easy. Cons: That it does not have the ability to keep track of repair tickets for my shop. A module added to my POS would be perfect..I will wait. Pros: Dependability,Technical support and company always open to my suggestions. Cons: The fact that I can't sit in my chair and give the software voice commands, but knowing James, it will be one day if its needed by all. 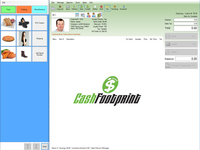 Overall: I've been using CashFoot print for over 3 years and am happy with the software and James, the technical support. It stinks when you can't use your software or get into your POS,prior company I was with had bad software that did the backups,where I actually lost 2/3's of my inventory and customer data base. I thought the backups were going correctly but when I did need the backup information is when I found problems with their backup. I can happily say, I've never had a problem with CashFootPrints like that. Highly recommended. Always when we need support, they're there for us! The software is easy to use! Pros: The layout! It is easy to figure out if you have the time! I've seen software when checking out at other store and it looks confusing and very bland. We love the quick sell button feature! And the feature to add customers which helps us know which are repeat customers. Cons: We offer layaway but layaway isn't available yet on the software so we have to keep up with it ourselves. Overall: The feature to add customers with their phone numbers is great! If we expand, we can get another pos and all inventory is synced to the second pos. Comments: We were looking for a TOP SHELF POS system without a top shelf price tag and Cash Footprint fits the bill nicely. They are frequently adding new features and the ease of use make it an even more priceless tool to have in your retail toolbox. It has great reports for sales, inventory and low inventory - plus multiple added features such as a time clock & the ability to use your own gift cards. It is linkable with multiple locations and the folks at Lothill step up to the plate to deliver a home run every time we interact with them. Thanks for building a system that's everything you need in a retail environment! Pros: That its more reliable and easy to use than Perennial. I stopped using Perennial about 4 years ago and have been using CashFootprint POS since, matter of fact I use 2 copies for my business. Cons: I am happy with it so I won't say anything negative about the software. Overall: I have a vacuum repair and sewing machine business with 50,000 pieces (plus) and it handles the inventory well and my customer base,does pretty much what I want it to do and more. Works great for both of my shop locations. Pros: Features for the price. This software does everything we need. Easily adaptable to my business, which is a niche business in retail (Bowling Pro Shops). Cons: Would like to be able to get into inventory more easily when in the receive inventory screen. Would like to be able to find prices/change prices on items while receiving inventory. Overall: Both of my stores use the same software, consistency. Reports are easy to produce. I have used CashFootPrint for a few years now, the price is low cost for what you get in program. Pros: Pro Version, Ease of use, ease of adding items. Reports are great and customization is simple. NEVER a crash like a few other programs I tried that required complete recount. Fast and easy to train on. Cons: I trust this Program 100% I would like the option for several merchant account processors all ready in system. Overall: Benefit of knowing it is a program that wont crash. And does everything I need. Cons: Need to have the ability / option not to print all of the reports at the end of the day. Overall: We have not regretted a day that we purchased this system. Easy of use and functionality is great. All future locations will have LotHills P.O.S. systems software and systems in place. An in system Lay-A-Way program would be an awesome item to add to the current software, Thanks for the great support and easy of use for the current system. Recommendations to other buyers: Keep up the great work!!!!!! We needed an inexpensive point of sale software. CashFootprint was the answer! Pros: This product is easy to use. We were up and running in no time. Also, the company provides Youtube videos to help with trouble shooting. If that doesn't help, the customer support team answers your email or phone call within about an hour. Cons: I would like to see more features on the inventory side of the program. But, it is a pos product and not an inventory product. Overall: We are able to track our stock and know when to reorder a product. We can also upload our customers to see previous purchases. This allows us to tell them the sizes and styles purchased previously. Overall: I really love the CashFootprint POS. I believe it is very user friendly and it only get better with every update as the years goes by. Lothill support is always quick to reposnse to me concerns & help in any way! Pros: What I like most about the Cashfootprint Point-of-sale is the user friendly layout. Most things are easy to find and I've learned multiple shortcuts. Cons: What I like least about the Cashfootprint Point-of-sale is not having the straight forward option to do layaways. Accounts receivable is what we've been using but get customers confused. Pros: Lothill is a company that listens to its customers & is always making improvements to its software. Cons: It's value packed software - though will not have every feature of the much more expensive software companies. Overall: I have only ever used the National POS softwares to run my business. When looking to upgrade my system, I had decided against the cloud & invest into CashFootprint. I have been using it for 3 months now & must say that I had converted over to it rather easily. As with any software change, you can expect a modest learning curve - though it was a pretty straight forward conversion. The available features are everything that I could possibly need to grow my business. I also like how the platform continues to grow and get better through updates. It's a cost effective & efficient system that I would recommend to anybody. Recommendations to other buyers: The value is outstanding - IF there are features that you can't live without in a software package, I would confirm " in person " with any company , that they have those features. Not all softwares get from point A to point B the same way......you gotta know what is most important to you, to run your business. I think CashFootprint would be more than adequate for most businesses. Pros: ease of use and setup, cost, lack of subscription fees. not trying to write a book here, your stuff works so I use it, are we at 100 characters yet? Overall: stopped writing paper receipts. Absolutely the best value out there!! Pros: Simple to use and very versatile! Great features and reporting capabilities! The functionality is simple to train and the technical support is second to none! Cons: Some of the sales reporting does not allow enough space for values in the millions and tens of millions. Pros: Most features are easy to use once set up properly, The reports are extreamly helpful , Their support staff is great, I was very frustrated and the customer took control of our computer and explained what he was fixing and how it effects the program. Thanks to him I am no longer frustrated. Thanks a bunch James!!!! Cons: I wish the videos and instructions could be a little easier to understand. Thanks for pause and rewind buttons. I had to watch 3 or 4 times to keep up und understand what needed to be done. Pros: Ease of use and user friendly. Cons: Nothing I can say in this area. Overall: Nothing negative, software is great, price is reasonable and support is excellent. Had an issue and the company response was quick and efficient to ensure our down time was almost nothing. Recommendations to other buyers: Keep up the excellent support. In a time where company try to avoid customers after the purchase, LotHill is a fresh breath of air in customer support. I promise you this company takes care of it's customers and will be around for years to come. Thanks. Pros: It works fine, it's simple and does what we need. 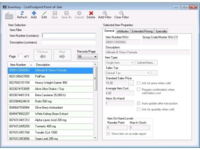 From tracking inventory to sales tax reports, It works fine. Cons: Some of the reports are not intuitive to find. You have to remember how you got the correct report last time. Pros: It does everything I need from POS to reports. Very nice apearance, works smoothly, and they are always adding new features. This company is always listening to their customers and gets back with you quickly. very usefull tools for retails. Cons: honestly i do not have any negative point for he system, for my operation fit really good. 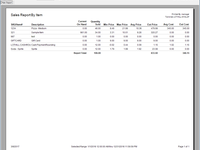 Overall: The system, is really easy to use and let me monitor sales, inventory, employees working time. Pros: I found CashFootprint to be a great cloud POS. This great application keeps my inventory organized and allows me o keep a history of my customers while process transactions in a secure manner. I love the Loyalty points feature and gift card tracking and the customers love them too. Cons: We function in Layaway. All of our customers buy our packages in layaway and I would like to have that feature available. Overall: It is a great software, very efficient and cost effective. Pros: We purchased the total package. When it arrived the only thing missing was the cable to hookup the monitor. Emailed the representative and he sent one out right away had it in two days. The program and hardware works great. Had a few problems but, he fixed them right away. I would tell anyone looking to buy a POS system "this is the one for you". Quickbooks POS program is over $1,700 dollars with NO hardware. The service is OUT STANDING. I think my representative never sleeps. Cons: Have no cons. This program was best value. Overall: With this system it was easy to hook up the back office to the counter. Now we can add items in back and have them show up at the counter. This way we are not trying up the counter system to add items. Also, can send out emails to customers about new specials. We love the system it easy to use and has worked just fine. Overall: I've been using cash footprint for about 2 years now and it has been very easy for myself and my employees to learn. I'd like a couple different reports to be added and a short / over added to the x drawer count but other then that I am very happy. BEST POS software for a small business!! Pros: Price is unbeatable and the customer service is better than ANY company (even the likes of corporate giants like Home Depot, Cabella's, Target, WalMart) that I have every experienced. Cons: Installation has some quirks but the customer service was very responsive to my needs. Overall: I would 100% recommend this software for ANY retail business looking to get everything you need for this amount ! Every other POS system I looked at was more costly (which doesn't make sense for a "start up" business.) I was overwhelmed by the ease of learning the system and the simplicity with which to upload Excel databases of my inventory (from my old store) was EXCELLENT!! Even after spending on the software, the customer service (WHICH IS INCLUDED) was simple and very responsive. ALL AROUND A++! I wish Lothill the very best for a bright and successful future! Thank you. Pros: Simple and does not complicate things. It also has the capability to add a quick sell button which is rare for POS now a days. Overall: I just had it for evaluation though my family decided on custom made POS,their support all through out was supwrb and Beyond comparable to POS of big names. Recommendations to other buyers: Having the ability to use the terminal in offline mode would be a plus. Instead of sku or serial number for the default method of searching it would be nice to have an option if search by item would be in words or sku. Cons: Adding customers to database is awkward. Also would like the ability to customize fields shown when adding customer data. Overall: With 55 plus artists selling work in our galleries and artwork always coming and going to fairs and exhibits, we needed a flexible system. This does it for us. Each artist also works the shop, but only a time or two a month so ease of use and a flat learning curve were important. Pros: This software is everything that we had hoped for. It is easy to use, videos give you almost all the answers to any questions and CSR will give you the rest of the answers. We love this CashFootprint Point of Sale system. We would recommend it to all small businesses that want to use a simple and easy to use POS system. Cons: Haven't found what we like least yet. We are happy so far. Overall: This POS system is helping us to manage our inventory without having to purchase an expensive system with a lot of features that we will never use. It also does NOT have a monthly fee. Pros: This company has the best customer service. Great product, easy to use, pleasing layout, but most of all, the staff is the best! That is what pushed me over the edge to buy it, VERY prompt service by email. Cons: I have yet to find something I can't work around. Getting the database set up was a bit confusing but tech support helped me thru it. Pros: Functionality, database-based, great support. Cons: There is really nothing that comes to mind. 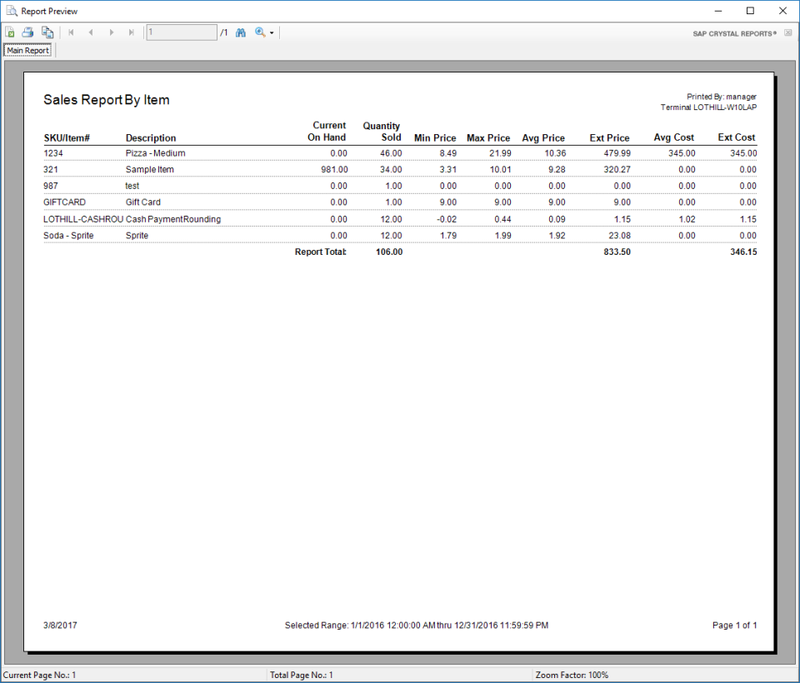 Overall: This POS software has been a bargain from the get-go. Fully function inventory and retail POS system with the world's very best support. Recommendations to other buyers: It is a bargain. Do the trial and you'll want to keep it. 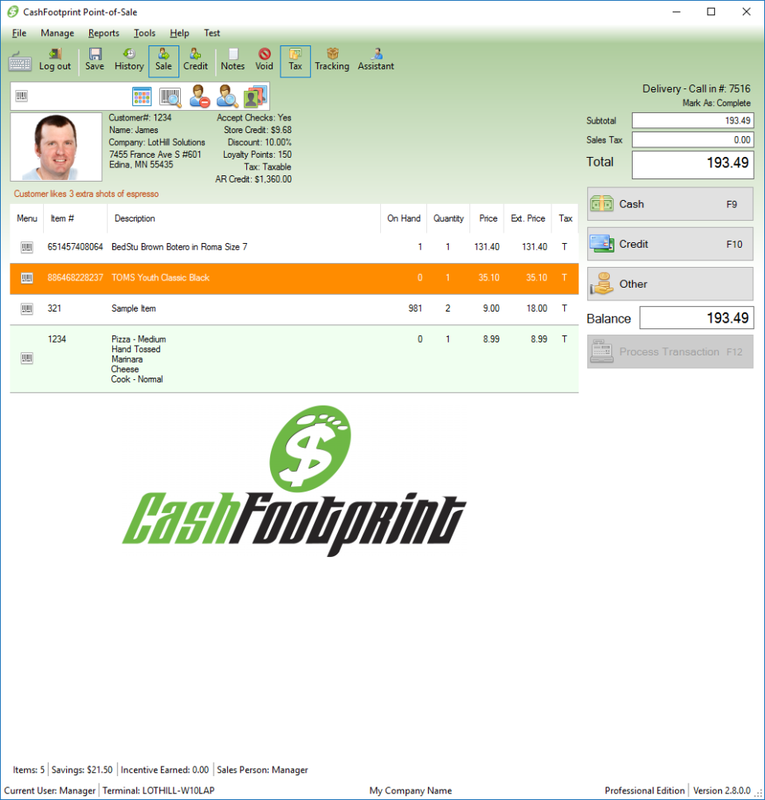 Overall: A friend of mine introduced us to Cashfootprint, great product, easy to use and reliable! Would highly recommend! Brilliant. All functions are logical. Don't need to be an IT person to install and use. Pros: The videos. Watch them and follow. So the first is ease of installation. Second is the support. Tickets are issued and followed up with responses quickly. Lastly it is intuitive. Easy to learn and teach. Cons: Optics can be enhanced. Inventory input method for multiple scenarios I.e. style no., colour and size is little intense. Perhaps a simple grid will be helpful. Comments: We sell manufactured housing repair parts and stock approximately 2500 different items. We have used the CASHFOOTPRINT system with credit card processing for just over 2 years. We operate with 3 terminals on the counter and 1 in the office. Everything works smoothly . We are running on Windows 7 Professional 64 bit on computers that are several years old. Although these are minimal systems, everything works fairly fast. The few times we have had a problem, James has responded immediately and resolved it quickly. The customer service is above and beyond what should be expected. The cost to get the system up and running was far less than we expected. 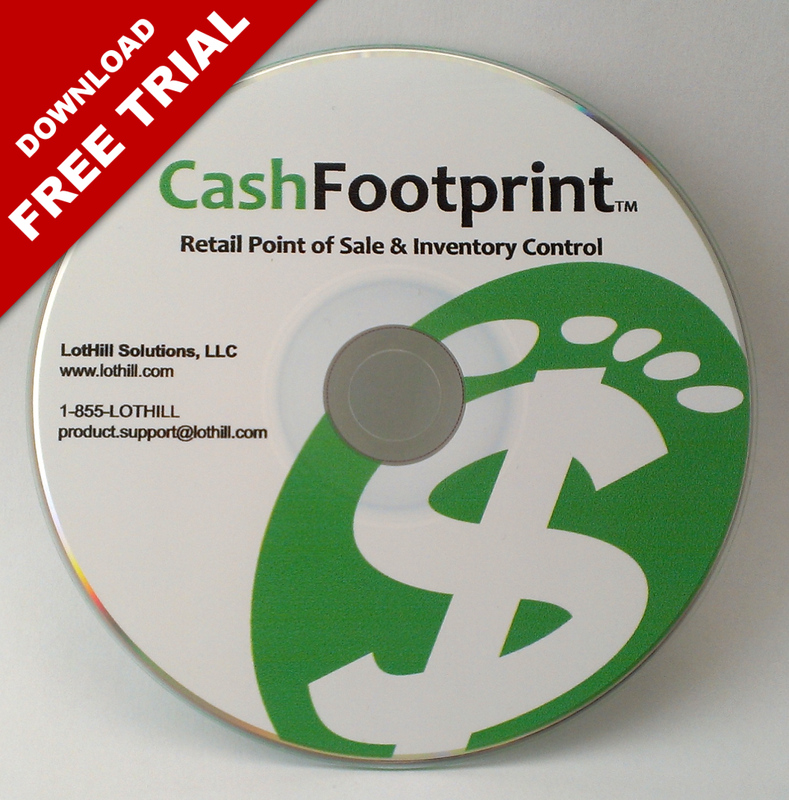 I highly recommend CASHFOOTPRINT to anyone contemplating automating their retail sales and inventory. Pros: I like possibility to do assemble items, discount, mix & match and open customer account with the AR account. All the reports are good, by category that you want. Cons: The biometric read for customer is not available yet, but suppose to be there before 2019 said the boss! Thanks, hope it go well! Pros: It is easy to use and to learn. It has made my business run itself as far as inventory. I actually get bored now. Cons: There is nothing negative I could say I love love love this software. Overall: I solved all my inventory problems trying to keep up with inventory is a daily job. Cash flow point of sale has made this easy. But why is that your retail store management tool lacks POS? and training kits too?? Overall: Except for the days to respond, the experience and resolution to my issue was satisfactory. The tech was polite, knowledgeable, courteous and solved and answered all issues and questions. Comments: Pros - Ease of use, very stable, LotHill is great at answering any questions I have and providing updates with added features. They listen to their customers' suggestions and always respond quickly with any concerns I have. Cons - None really, I may have had a minor issue here or there, but James always responds very quickly and works to solve any concerns we might have in a timely manner. Overall this is a great product for a small business like us. The price is right, and the POS interface is professional looking and very easy to use with a small learning curve. I would definitely recommend this to any business owner. Comments: When I was looking for a POS system to fit the needs of my Marine business, I search around looking for a reasonably priced solution, that was easy to setup and use, while allowing for easy import of my large amount of products. I found it with CashFootprint. It was easy to install on the equipment that I already had, importing my products was simple and it has ran flawlessly since I installed it in 2013. Customer Service has been great and email response times are way beyond what is expected. I highly recommend this to anybody looking to setup a retail POS, regardless of size. You won't be disappointed. Easy to install and use with the helpful videos & great customer service response. Pros: Ease of use. Has a lot of features for the money. Much more to offer for less money than other software I have used. Cons: Figuring out how to add discounts to items is confusing since we don't discount everything the same. Comments: If I could give it 6 stars I would. I must say this Stand alone POS is the best that I have used for the price. Most importantly for me is the quality customer service / tech support they offer. It is simple and easy to use and understand. Bottom line, its worth every dollar. I would encourage any body to buy, cause you won't be disappointed. Thanks so much for your feedback! 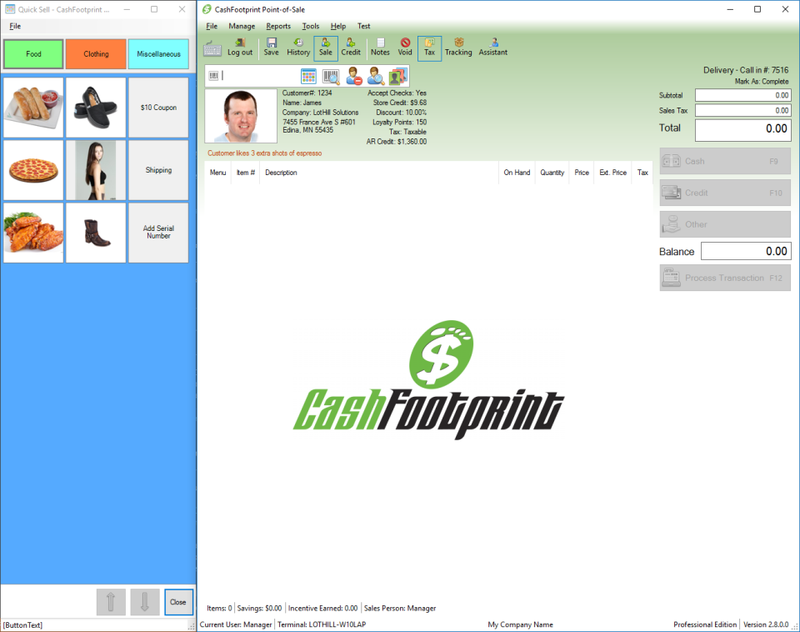 CashFootprint is stand-alone; however, you can add additional terminals and share the information among them all if needed. Have a great weekend! Comments: This software provides every function needed to run a simple or complicated, streamlined business. The tech support is above and beyond our expectations. 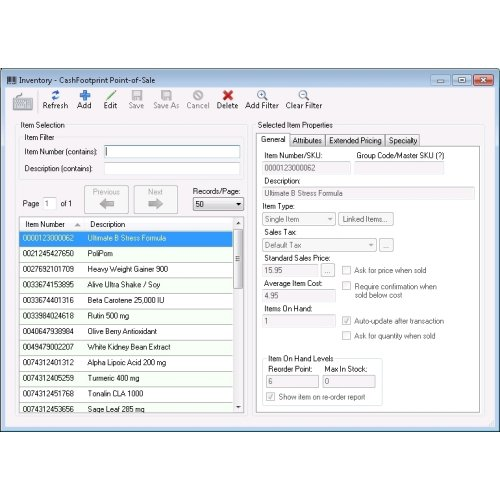 The best part of this software for us is that the inventory and point of sale run in one program even without internet access. I would highly recommend this software to any business, particularly to smaller business owners as it is reasonably priced without any ongoing monthly costs and the company stands behind their product with super tech support. Comments: I wish I knew about lot hill before purchasing my previous one, first its affordable and there is no way to compare with the one I replaced even it was the professional version, but too complicated and began to give me errors after one year,I think I will upgrade to professional copy after trying basic version for a good time. customer service is wonderful and no way to compare to the previous company in California which ask for charges even for simple question. Finally I want to say: Thank you James. Comments: I'm a small business owner and initially frustrated when looking for a great POS to support our business... everything was way to expensive. Then I found Cashfootprint, thank goodness. This program is second to none..... it has everything you could need and then some. James does a great job with taking feedback from customers and making improvements with function and features.... it's ever evolving! We've been using Cashfootprint now for 2 years and just can't say enough about the product and support! Pros: Easy to use for counter cashier. Overall: Great software, easy to use... excellent customer support... I had an issue, i sent email, next day i got sokution from them. I'm glad with the product. 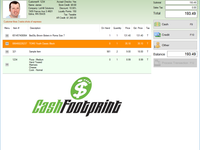 Comments: CashFootprint POS is a an amazing product. I have used several other POS systems and this one is awesome. It is easy to use, very simple, yet extremely scalable to fit any special needs that you may have. I worked with James, he is very nice and professional. Anytime we had questions, he gave us time to explain what is needed. Also, the training, installation and configuration videos are included in the package and seem well laid out. After two weeks of evaluating POS software.....it's Cashfootprint. Comments: Hi, I've spent the last two weeks evaluating several different POS software packages for our retail store and Cashfootprint does everthing I need and more. The software so far has been solid, very good SQL database structure and well suited for touchscreen. Best of all NO monthly payments! You will not find a better value in software and Lothill is on thier toes keeping everything up to date. Well written installation instruction too. Comments: I've been using cash footprint in my store for 3 years and I couldn't be happier. The easy of use and record keeping is second to none. The inventory reorder is super easy. Over the coarse of the three years whenever I'd have a computer issue James would take care of the software end right away so I wouldn't miss a sale. He's even added things to it with suggestions from me. Comments: The purchase and installation of Cash Footprint has been very rewarding experience. We have ended up with a POS system that reliable, easy to install, complete transactions and manage inventory. Their customer service support has been excellent with fast and reliable service.